DOMS is setting in. Delayed Onset Muscle Soreness. When I woke up this morning I didn't think I could move my shoulders. My pec muscles hurt just to lift a hairbrush. Tonight, after a day of walking along the Mississippi River, my hamstrings are screaming at me and I have to be careful to bend my knees as I bend over. Yesterday I went to the annual Thanksgiving Mala of Gratitude at Midtown Yoga Memphis where I joined a roomful of yogis completing 108 Sun Salutations. Broken into 4 rounds of 27 each, the Sun Salutations are done mostly at your own pace and with any modifications needed. Modifications? Hah! Not for this yogi. At least not for the first 27. And not even so much the next 27. By the third round I was thinking it would be the right yogic choice to listen to my body and maybe modify my chaturanga's (basically a chaturanga is similar to a push up). By the last round of 27 I have no shame in admitting I was doing modified chaturangas. My shoulders are grateful for that decision! 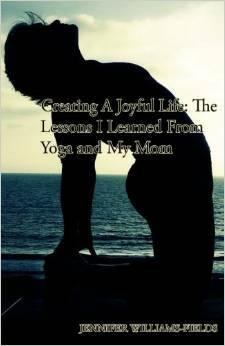 I've written before how yoga saved my life. I know that sounds quite melodramatic, but it's true. I found yoga at a time in my life I was really lost. My yoga journey strengthened me and prepared me for the year of my divorce that completely tore me down. And yoga has been the one staple in my life that has helped me rebuild myself. I knew 108 Sun Salutations would be physically taxing, but it's always something I've wanted to do yet never allowed myself the privilege of taking the time away from my responsibilities to accomplish. I always felt I "should" be doing something else on Thanksgiving morning rather than playing around with this little yoga thing. Now I know that wasn't selfless. It was hurting me. So after a difficult week of physical sickness and some depression creeping back in, I decided I was going this year no matter what. The first round of 27 Sun Salutations are done in honor of ourself and our limitless possibilities. It was nice to begin that way to meditate on where I've been, how far I've come, and where I still want to go. Hopefully I've released some blocked energy that has been keeping me static in certain areas of my life. The second round of 27 are done in honor of friends, family and "special jewels". Special jewels is a nice word for those people in our life we are having difficulty with. Friends and family are the easy part. With six kids and an amazing extended friend support network I was able to dedicate many of the salutations to individual people. But the special jewels part. Ugh, really? Do we have to go there? But go there I did. I actually felt a little teary meditating on my special jewels. But, again, hopefully some negative energy was released. Next we dedicated 27 rounds to our greater community. As someone who often feels very alone yet constantly surrounded by people, it was nice to remind myself that I am part of a much bigger whole. The final 27 rounds were dedicated to our connection with the divine. It's a connection I have struggled with over the years, especially with my moms death and then again through my divorce. The connection hasn't quite been healed yet. As I lay there in savasana afterwards, I felt better than I had in quite awhile. I knew I was in the right place and I knew I had made the right choice that morning. Even now, with muscles sore and tired, I am grateful for yoga and my yoga community.